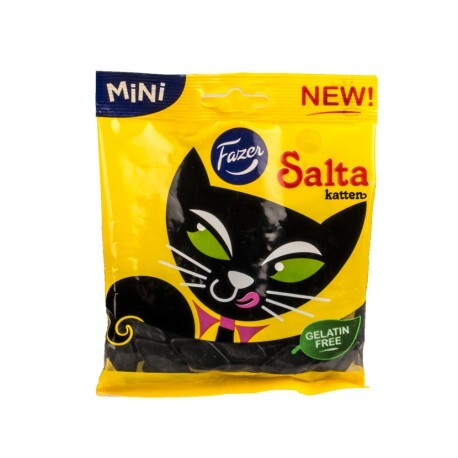 Salta Katten Swedish candy in the 80g bag is always fresh and priced right at SnusCentral.com! There is no tobacco in any of our yummy Swedish candy. Buy snus from our huge, fresh Swedish snus selection if you are looking for tobacco! I couldnt eat a bag in one setting but these kittens grew on me, great flavor!